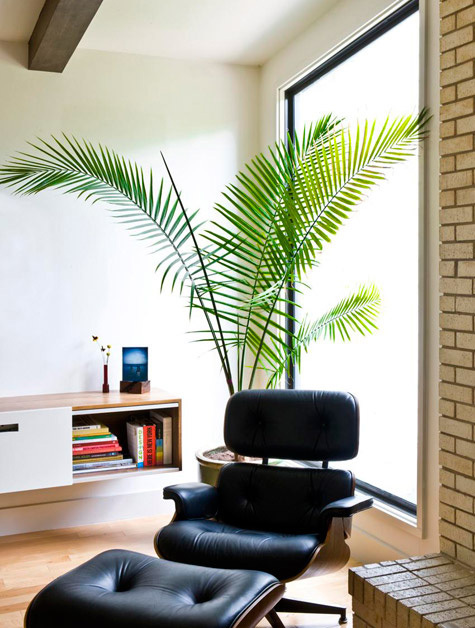 These simple ideas can make any place look more put together - for practically nothing. The days of movie posters and tapestries are over. It’s time to give your apartment some personality, but you probably don’t want to spend a fortune. Well, I’m here to tell you that it can be done, and I’ll also tell you exactly how to do it. 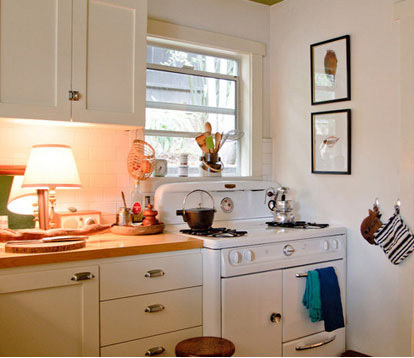 Here are ten tips for whipping your place into shape, without busting your budget. 1. Paint is your new best friend. If your landlord allows it, paint an accent wall. Something bright will create a focal point for the room, with minimal effort. 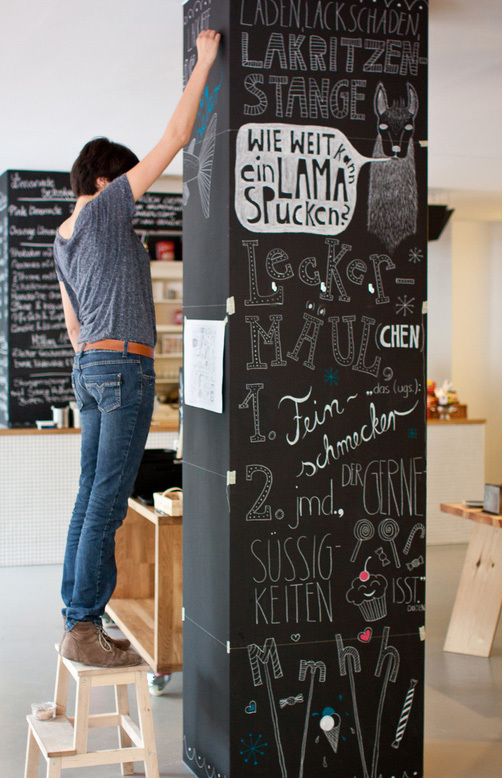 Chalkboard paint is a good interactive option… after a couple of beers your guests are sure to grab some chalk and write something funny. It’s better than writing on the walls with permanent marker like we did in college. 2. Not allowed to paint the walls? There are lots of alternatives. 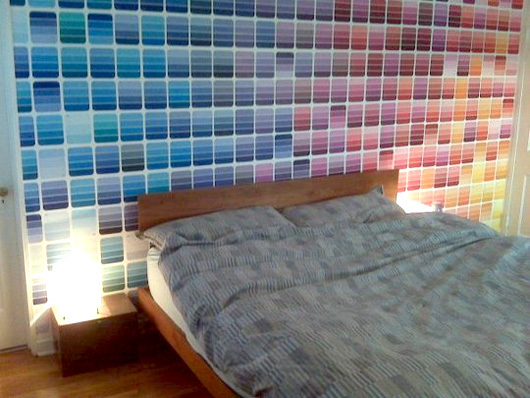 Use paint chips to decorate a wall. Or hang temporary “wallpaper” using fabric and liquid starch (check out the simple tutorial here. 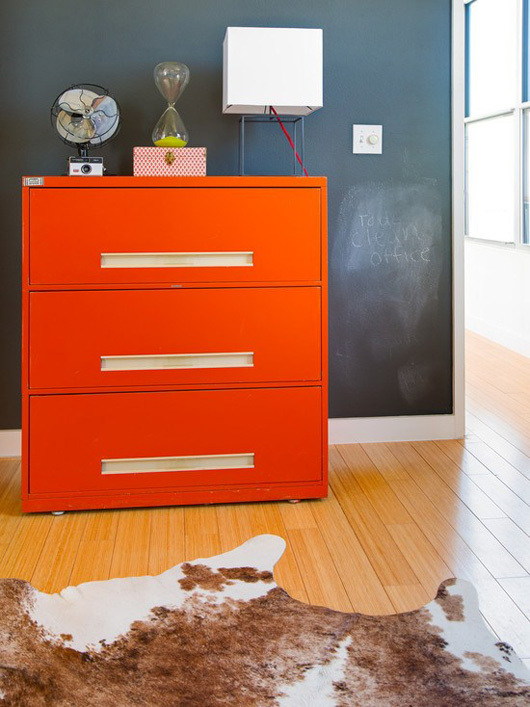 Just like paint, these techniques will have a big impact, especially in a small room. 3. Hang interesting things on the walls. Are we noticing a pattern here? Doing something to the wall is the easiest and most noticeable way to improve the look and feel of your apartment. Do you have a collection of some sort? Mount it on the wall. Grouping things together makes them seem organized and intentional. 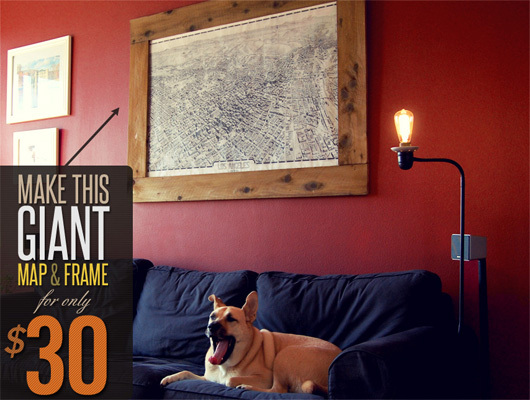 If you aren’t a collector, frame something related to your job or hobby. Are you a musician? Frame some old sheet music. Work at an ad agency? Tear out your favorite advertisements from magazines and frame them. 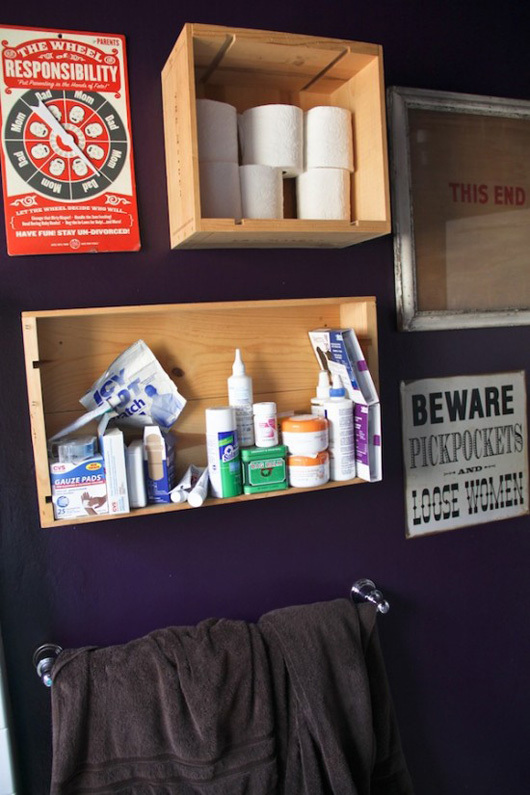 Other great things that you can hang on the wall include maps, beer bottle caps, playing cards and ticket stubs from events that you’ve attended over the years. Head to the nearest public park and grab some pine cones to put in a bowl, or pick up a couple of pine branches that are laying on the ground and stick them in a vase or jar. 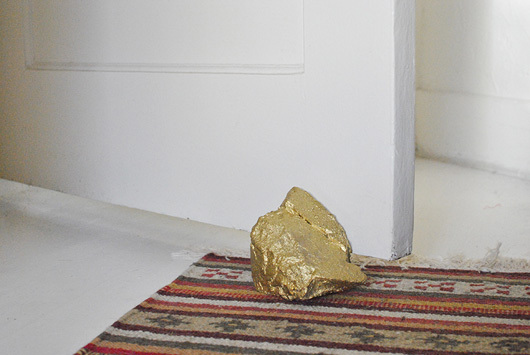 Interesting rocks also make cool door stops. Or book ends. Or paper weights. Again, totally free. And don’t stop there! I’ve said it before, and I’ll say it again – buy a plant. Or five. They make a room feel more alive and also improve the air quality. Home Depot has many house plants under $10. 5. Repurpose a picture frame. 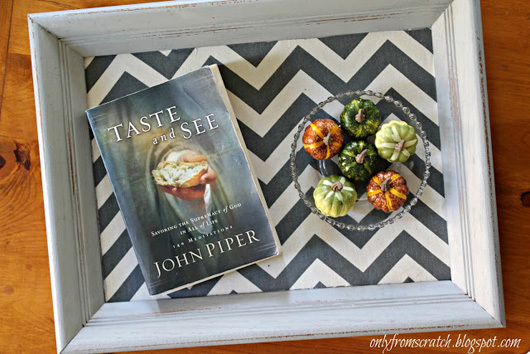 Use an old frame to make a tray, and then use that tray to corral the contents of your coffee table. Clutter suddenly becomes a collection of meaningful items, rather than random stuff you don’t feel like putting away. To make a tray from an old frame, simply place a decorative piece of paper in the frame (wrapping paper will work) and add metal handles to each side. 6. Find some wooden wine crates. Wine crates are incredibly versatile, and also free if you can sweet-talk your local wine shop owner into saving some for you. Fill an existing shelf with wine crates for instant enclosed storage, or line the top of your cabinets with them to hide lesser-used items. 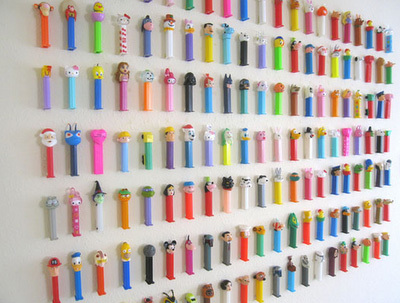 You can also mount them on the wall to display knick-knacks. Try moving things to unexpected places. Bring your bedside lamp into the kitchen for a more inviting ambiance. Grab all your random decorative items and put them in a pile, then redistribute them. You’ll be surprised at how different they look once you’ve moved them to a different location. Grouping items by color or theme will help to achieve a more unified look; put all of your red books on one shelf, and all of your blue ones on another. This is a simple decorative touch that doesn’t cost a thing. 8. Switch out your hardware. Many landlords won’t splurge on things like cabinet handles and drawer pulls, but high quality hardware really does look better. Buy yourself some nice stainless steel hardware when you’re at Home Depot. This might set you back a few bucks, but look at it as an investment – you can always switch back to the old knobs before you leave your apartment and bring the new ones to your new place. 9. Own lots of mismatched furniture? The answer to this problem again is paint. Choose a bright color to liven the place up, or if most of your furniture is black but you have one light wood piece, you might consider painting that black to match. Check out Andrew's feature on refinishing furniture for more how-to's and ideas. Think about it – this is a completely free way to make your space look more presentable and inviting. Throw out the junk, donate the stuff you no longer use, and organize the stuff you do. 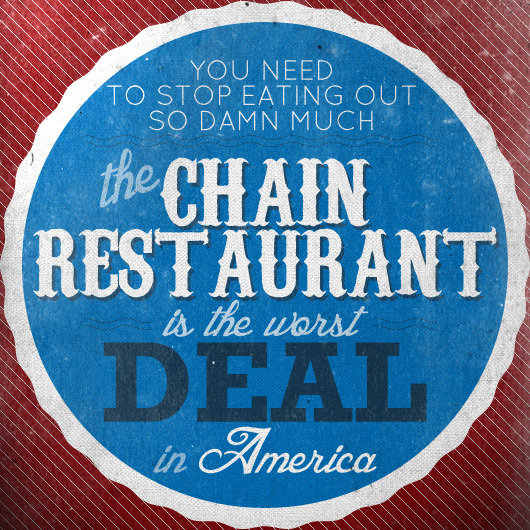 It doesn’t have to be as horrible as it sounds… grab a glass of scotch, turn on the TV and go to town. Although it sounds daunting, it is entirely possible to improve your apartment without forking over a lot of cash. You just have to be resourceful. Think outside the box a bit, and you’ll be able to create an inviting space for you to hang out with your friends. And your bank account won’t even notice. This is a great article with lots of easy tips I will actually use. Thanks! I love that one of the photos has a $3500+ chair in it. Irony! If its inherited like that it might not fit with the theme of the room. This is very beneficial post in which you have told that how people can make comfortable apartments. It will be very helpful for them, those who are looking some tips for making best apartment.